You must make reservations at least 5 minutes in advance of the time at Restaurant Guy Savoy - Caesars Palace. The Main Entrance Valet is the nearest to the restaurant. Restaurant Guy Savoy serves an intimate dinner experience with the highest level of personalized service and stunning Contemporary French Cuisine. 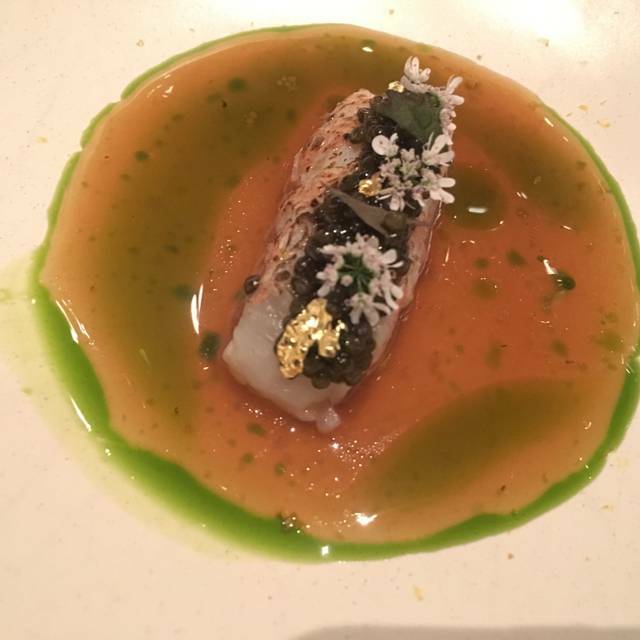 At Restaurant Guy Savoy, a meal is a celebration of life. Each Guy Savoy creation is subject to the scrutiny of the eye and the senses of smell, taste and touch. Seasonal ingredients are combined to make their flavors come together in perfect harmony, or to make their differences play against one another. The wait staff is attentive and approachable, exhibiting flawless yet discreet service, creating a home-away-from home environment for each guest. Words cannot express how wonderful our experience was! Highly recommend and will go back again and again. Not only was the food and wine pairings amazing, the service was out of this world. This is not your typical stuffy Michelin restaurant, they are friendly and very personable. Well done! The best restaurant experience we have ever had. Exceeds Per Se, Le Cinq, Alain Ducasse at Plaza Atheneum. The food was fantastic. The service was exceptional. Nothing could have been done better. If Michelin ever comes back to Las Vegas, this will be a three star restaurant. Wine pairings were fabulous with the food. The staff were very friendly and fun to dine with. Overall we had an excellent dining experience and the food was creative and delicious. The only reason we deducted some stars was that we made a food allergy known when we made the reservation on OpenTable ahead of time, however, it was not acknowledged at the restaurant. When asked about allergies, it was as though we were announcing it for the first time. I’m not sure who is responsible for acknowledging these requests/allergies, but it would seem appropriate for a fine dining establishment to know about an allergy ahead of time in order to be able to adjust their menu if required. Although there were no major issues making the appropriate adjustments for our meal, as customers, it seems pointless to list a dietary restriction if no one is even reading the requests. The restaurant exceeded its reputation. The experience, taste and flavor was incredible! Amazing! Like out of this world. You won’t be disappointed. One of the best restaurants in Las Vegas. It’s a little expensive but well worth it. One of the best wine list in the world. Spectacular! One of the finest dining experiences ever! No cabe duda que por eso gano el premio Forbes 2019. Casi todo excelente, lo único que les recomiendo es que laven bien su vajilla pues 2 veces regresamos un vaso que olía desagradable. Felicitaciones al chef!! One of the best dining experiences anyone can ask for! Service was exceptional. Everything was impeccable. The food was outstanding. The service was spot on. Unfortunately I was dining alone but the staff made me feel welcome and I enjoyed the entire experience. I Will definitely be coming back with my wife in the future. One of the best meals I’ve ever had. An absolutely incredible meal. Every ingredient and course were mind bending and could be described in one word, ethereal. The service was impeccable and the wine pairings worked incredibly well. 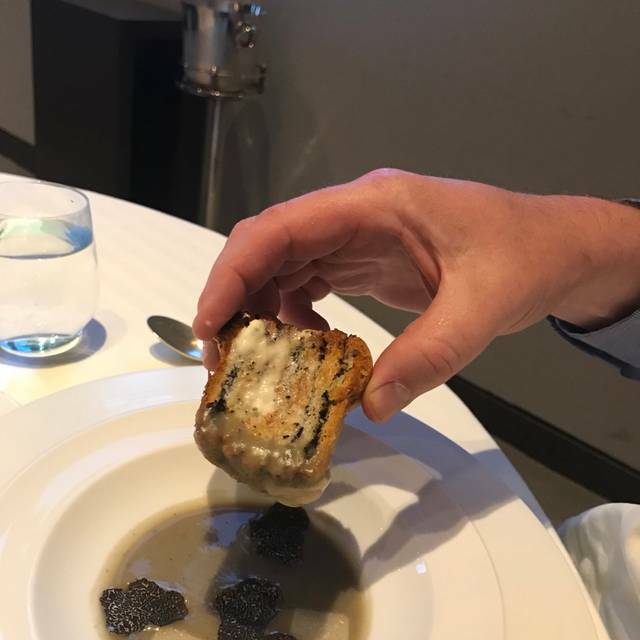 The black truffle soup is indeed a signature dish, but every other dish was precise and flawless in their taste and presentation. Though expensive, this meal was worth every dollar. I look forward to a future meal. Outstanding service. Imaginative and delicious menu. Very steep price at the borderline of justified and overpriced. Extraordinary. My wife and I have enjoyed amazing dining experiences on 5 continents... but rarely has one been such a classic, traditional, French Experian such as this. Dress for dinner... elegantly. Do not have a schedule. Enjoy an immersive culinary experience. Amazing!! Great experience. Impeccable service and food. Meal was fantastic! Service was second to none. Chef Guy came to our table before and after the meal....excellent meal. 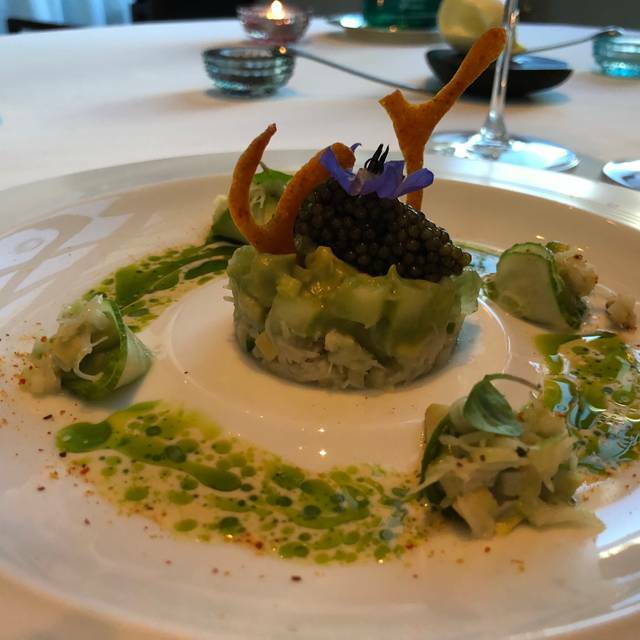 Dining at Guy Savoy is truly a special experience. 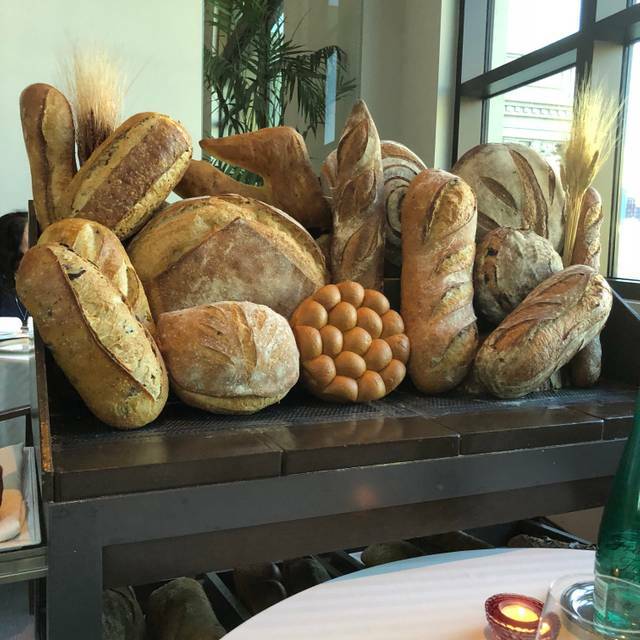 The culinary joys go without saying - the bread cart and the mignardises cart alone are fantastic, not to mention the carefully crafted and delicious dishes. 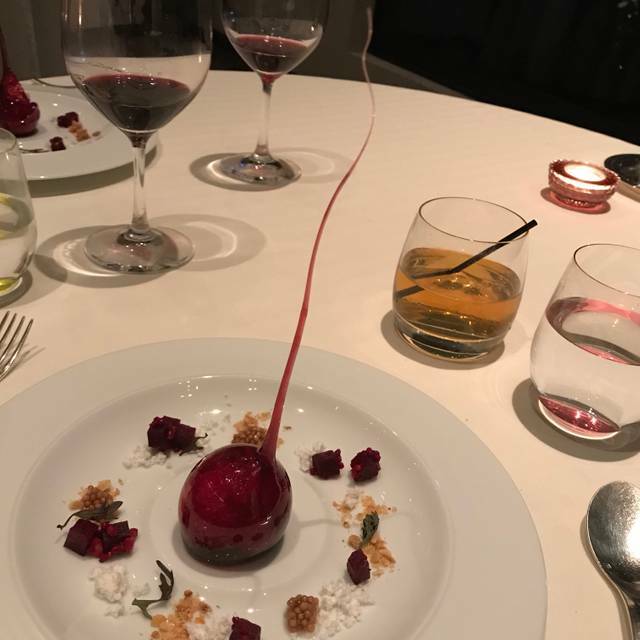 That said, it is definitely the warmth and care of the entire staff that makes a visit to Guy Savoy incredibly memorable. Alain, Fabrice, and many of the team have been there since day 1 and they are superb in every way. 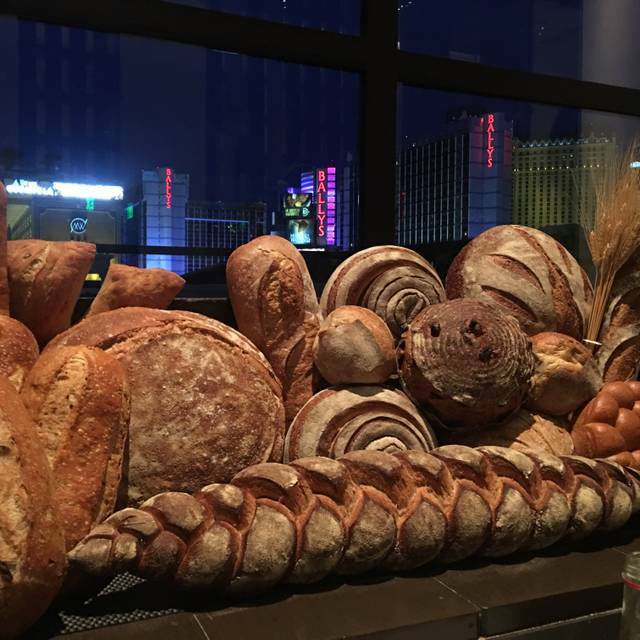 I can not recommend Guy Savoy Las Vegas enough to anyone who wishes to savor a superlative and magical experience. Such a treat for our anniversary. I cannot begin to explain the amazing service and how they pay attention to every detail to make our experience seamless. We already made reservations to come back in August. This is our new favorite spot in Vegas. As always, an incredible dining experience augmented with exemplary service. 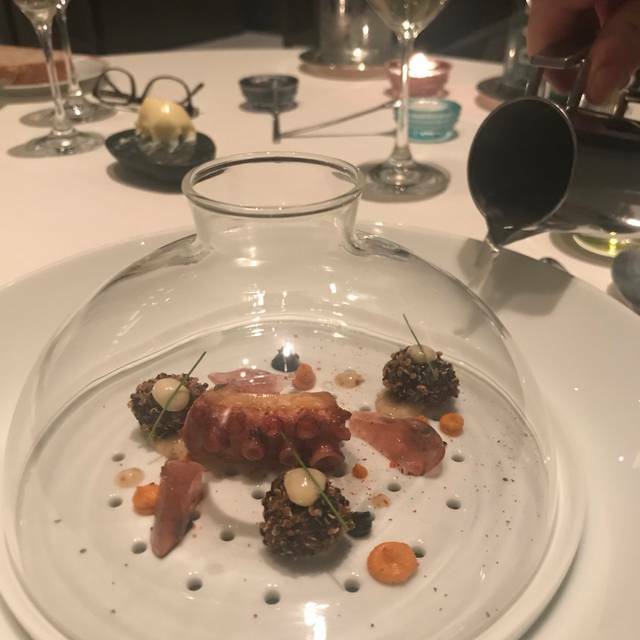 If I were to die tomorrow, I would eat at Guy Savoy and spend time with there fabulous staff. Wonderful service. Exquisite variety of food and presentation. We are repeat customers. Every time we visit VEGAS we try to go to Guy. The staff is exceptional and the food is outstanding. The new sommelier is one of the best we experienced and we visit many Michelin Star restaurant. I cannot say enough about the service staff. Increíble! La comida excelente!!! El servicio impecable, la atención que recibimos fue la mejor y siempre estuvieron explicándonos cada platillo. Sin duda un lugar que tienen que visitar! 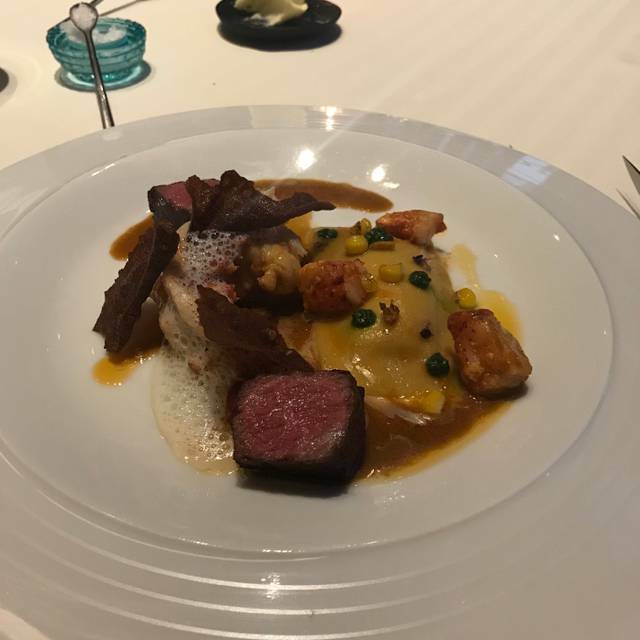 One of the best meals we have ever had, and we eat all over the world at Michelin star restaurants. Wine pairing was exceptional. Service was exceptional. We went with a group of 7 for my husbands 45th birthday. The food was just outstanding. We all chose the seasonal tasting menu without the wine pairing. We ordered a vintage bottle of Dom P since we were celebrating. We also added a dish, the truffle risotto. Wow. Every single dish was just amazing. We had one guest that has a gluten and shrimp allergy. They were extremely careful and were able to substitute everything so they didn’t miss out on anything. The only issue with the allergy is that at the end of the meal, their celiac symptoms were sky high. Stomach pain, extreme bloating, and lethargy set in quickly. As careful as they were, somehow they were still contaminated. But they absolutely loved their meal. Too bad it had to end that way for our celiac guest. The bread cart was a big hit for the rest of the guests. The Wagyu steak was extremely tender and the flavor was outstanding. The fish had the best flavor of all dishes. It was just all around a wonderful experience except for the allergy contamination. I would recommend this restaurant to everyone. If they can afford it. It wasn’t cheap by any means but you get what you pay for. Ate there many times in the past and always had a great experience. NOT on this occasion....everything is scaled back....no more cheese cart.....who ever heard of baking dry age pineapple in clay and getting something that tastes good.....took my daughter there for dinner and she got sick on the food...had to hurry back to the hotel so she could have and emesis.....not a good way to spent $1000.00 on dinner. Had the Prestige tasting menu and Prestige wine pairing. Great wine pairings - a 2 oz pour - for each and every course! The food was just ok, some items were very tasty and inventive, others were lackluster and pedestrian. Desserts were mostly a disappointment, and the bread selections were not baked in house. Service was friendly, esp the sommelier. But as the evening went on and the room got busy, you got less attentive service, so I would reco dining earlier in the evening when you had the staff's attention. Everything was excellent! Service and food were outstanding. The bread cart will kill you, so be careful! Did the 5-course tasting menu with wine pairings. Very enjoyable! Perfection. The wine and food were extraordinary. The service was professional, warm, and thoughtful. 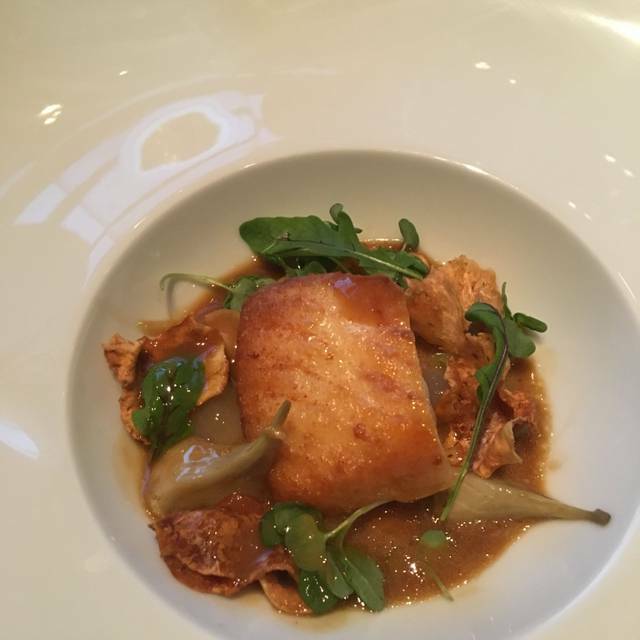 Dining at Guy Savoy was such a welcome change from the noisy, smoky food troughs on the Strip. It was truly the experience of a lifetime. Celebrated our anniversary here and it was as wonderful as we had expected. Service was exceptional, food was extraordinary, wine list was extensive. This is a world class restaurant and gives us reason to come back to Las Vegas more often. My husband and I celebrated our anniversary here. We had the Forbes sampling menu. The experience was absolutely amazing and wonderful. It’s the best of the best of their menu and with a premium wine pairing. It’s a splurge and I dare say well worth it. The staff was attentive, courteous and caring. This was truly a Once in a Lifetime experience. We had a party of eight and enjoyed the tasting menu with wine paring. The staff were fantastic, they made us comfortable and educated us on each curse and the paired wine. They were attentive, fun, professional and made the whole evening special. The executive chef came out and visited with us and we talked about the menus and why each item was selected and then learned about his background. While some may worry about the cost, it was well worth it because it was a dinning experience like no other. It was unanimous among our party of eight that this was a great way to spend the evening in Vegas. If I could give a 10 star rating I would!! We did the tasting menu with the wine pairings. I can not say enough about the entire staff. The service was impeccable! John Paul was our main server but Andrew the sommelier was incredible, plus Alan & everyone else! Thank you for walking us to the show to make sure we got there in time! We definitely come back. What an amazing experience! Service was great! Food was good but not spectacular, as it should have been at the price point. Ambiance was severely lacking in the dining room. For the price, there are much better places. Amazing! Jean Paul was our Captain, Andrew the Somm, Adrian took care of our service and Alain the GM was very involved and everyone was terrific. The food was excellent, bread cart and dessert cart get shout outs along with the asparagus truffle soup. Wine pairings were on point and a wonderful complement. Very fun and witty group. It was a pleasure and an honor to share Christmas Eve with the staff at Guy Savoy. We’ll be back.